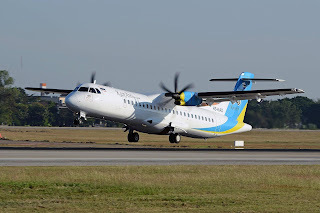 Kan Airlines is currently scheduled flying from Chiang Mai to number of cities in Thailand and attractive destination including Mae Hong Son, Khon Kaen Ubon Ratchathani, Hua Hin and others. Kan Airlines also provides charter services for passenger with our continuous growth for over the past 4 years. Now, we are seeking pilots to operate our fleet of ATR 72-500. If you are interested, please send your cv/resume to hr@kanairlines.com with your email title as " Application for the position of Pilot via flygosh.com "